The Mediterranean Island has a mythical charm, its beautiful sea and breath-taking landscape has been an inspiration to poets, lovers and travellers throughout the centuries. 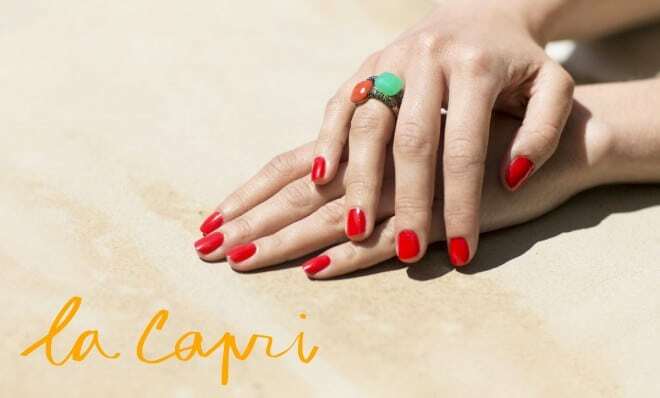 This summer Pomellato have really embraced this island, as well as the colours of the season with their Capri collection. The iconic Nudo range perfectly complement the hues of the wonderful Mediterranean climate. Edwards, Lowell has recently received the latest pieces from these collections, as well as the Arabesque line in store. Its colour palette evokes sunny days, flowers and volcanoes. These colours spurt out in unexpected contrasts, some even reflect the colours of the sea and sky, and are adorned in gold. The Capri rings are in rose gold with turquoise and rubies, onyx and black diamonds, chrysoprase and blue sapphire, coral and tsavorites. The necklaces are in rose gold with lapis or turquoise and rock crystal. 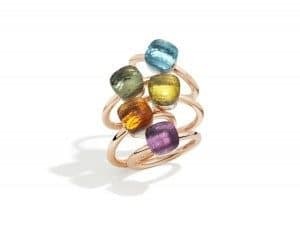 The rings in this collection, have an unmistakable silhouette, Nudo offers a palette of watercolour shaded stones for endless combinations and personal inspirations. The range comes in four variations, Classic, Maxi, Petit and with Diamonds. The patterns in this jewellery line play with the reflections of diamonds, large transparent stones and the shades of amber. 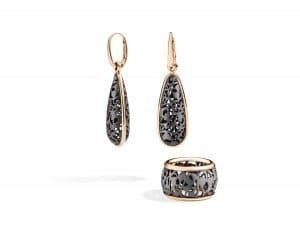 The NOIR ring and earrings are in rose gold and titanium. 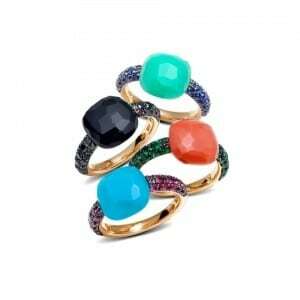 Pomellato is exclusively available at the Edwards Lowell boutiques in Valletta and St Julian’s.